Like others, they only grow whites. Their main wine is a Rajnski Riesling, which is a nice dry, somewhat sweet wine. The 2006 had a nose that wasn’t overly sweet like other Rieslings that we’ve had. While the body was a bit tart, it finished out well. 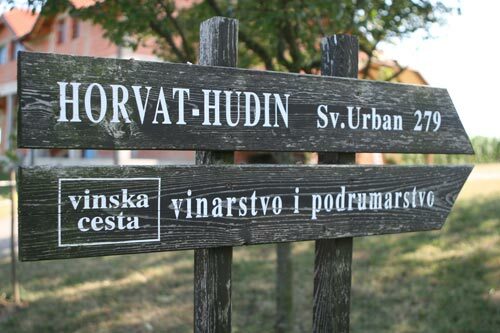 In addition to this wine, they also grow White Pinot (Pinot Bijeli), Šipon, Graševina, Sauvignon Blanc, and Yellow Muscat (Muškat Žuti). 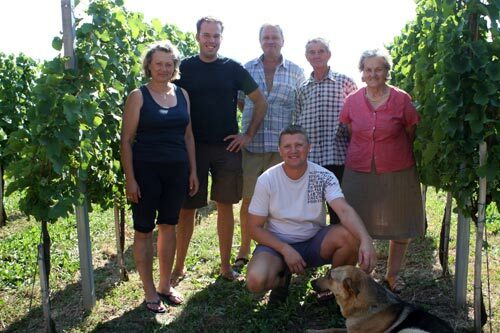 They get a good yield out of their land, but because we were working as best we could to speak Croatian (they didn’t speak any English) we didn’t get as many facts and figures as we normally would but we’ll definitely be returning to their winery again. Pozdrav volio bih se cuti s vama.